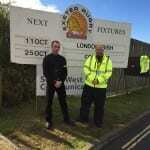 To hire our guards or use our services please contact us. Platinum Gate Security offers a range of security services to ensure that Exeter & Devon remain safe and protected. We’re relied on to protect the residents, properties and events within the county and our highly experienced staff are trained a with a Site Instruction Manual, Method Statement, Risk Assessment Lone Worker Policy, Health And Safety Policy, Environmental Policy, Proof Of Public And Employers Liability Insurance, Quality Policy And Statement Of Intent. We customise our security services to meet your particular demands and our staff are here to make sure that the level of Exeter crime is reduced and that a rapid response can be provided so that an unexpected situation can be eradicated. 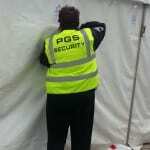 We will provide broad coverage for your business, event or property with leading security solutions. Our high-security officers put safety at the forefront have earned their status through training to ensure that they’re completely trusted and relied upon to do what they do best – guard Devon. Whether you own a shop, club, property or you’re hosting a party – the last thing you want is theft or any undesired situations taking place. This is where we come in. When you hire skilled security officers from Platinum Gate Security, you will be given a team of dedicated, hardworking professionals who will work to safeguard your business to prevent potential unwanted activity. We want to save you cost and time while reducing crime. 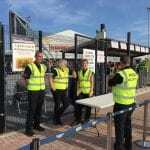 At Platinum Gate Security we provide for each of our sites in accordance with ISO 9001:2008 a Site Instruction Manual, Method Statment, Risk Assessment Lone Worker Policy, Health And Safety Policy, Environmental Policy, Proof Of Public And Employers Liability Insurance, Quality Policy And Statement Of Intent.